Hearing lights on subchaser SC 257. T. Woofenden Collection. 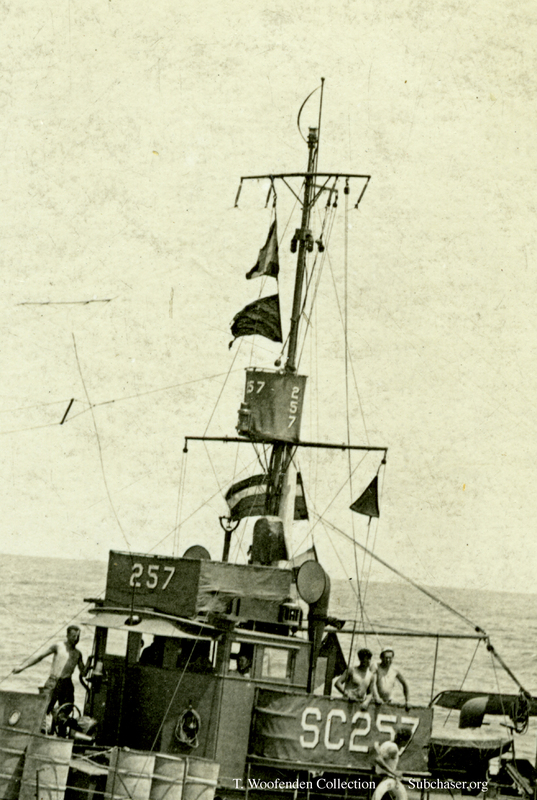 While the typical running lights were not used on the subchasers in wartime, the practical necessity of ship-to-ship communications at night required limited use of signal lights. Lights mounted on the main mast, a white light at the top and twin red lights mounted six feet below, were known as "hearing lights," and were used at night to indicate formations and distances. In this photo of SC 257 the light at the truck is white, and the twin lights below are red. Twin red lights were used to ensure visibility on both sides of the chaser.